This is one of those topics that is just ripe for people to be ripped off, which is why there are so many online articles, blogs and affiliate adverts that mention forex trading in some way or another as they look at you like the gullible money cow that you are. This article gives you the basics for how to make money online with forex trading without actually giving you specifics. Why give you no specifics? Because every article online that does is just telling you where to pour your money until it has gone. Sure, there are legitimate companies that do forex trading, but when working online it is surely a better idea to go the bigger the better. Go to a bank and ask them how you may use their services to forex trade online. Buy foreign currency, wait a while and then sell it. You will have noticed that exchange rates go up and down all the time. If you want to see how, then Google the current exchange rate for your currency and another from another country. Look at the history of the price and you will see that it has gone up and down over the last few years. Cannot I do this with PayPal? Actually, if you want to play it local and have direct control over your trading, then doing it with PayPal is just a micro way of trading foreign currency. Let’s say you put $50 into your PayPal account. You can convert that money on there into Yen, so you do that and keep it in your account. After a few months or years the exchange rate for Yen becomes favorable for you and you can sell your Yen for $80. The only trouble with PayPal and others such as PayPal is that they charge a conversion commission and that commission means you make less profit. You buy them in what are known as pairs. If you go for US dollars vs. British pounds then it will look like this US/GBP. That is what a pair looks like and you buy that pair in units. One US dollar gets you £0.60, so if you wanted to buy one unit of US/GBP then you will have to spend a dollar. Spend ten dollars and you get £6.00 worth of currency. The price of either may then go up and down. If there is inflation in America then it may cost people two dollars for 60 pence in GBP, but you bought them when they were just one dollar per 60 pence so you stand to make a profit. If inflation goes down in America then you stand to make a loss. With the British economy it would be the other way around. If there was inflation in Britain then your investment would go down in value, and if inflation goes the other way, then you stand to make money. If inflation went up in Britain then you may need £1 to buy $1 instead of just needed £0.60. This inflation in Britain would mean you lose your money. On the other hand, if inflation went down then it may only cost £0.50 for a dollar, which will mean you can buy more dollars with your investment than when you could when you first invested the money. How do I spot an online con? You go for a very large company such as a bank and do not consider a smaller platform until you are an expert at Forex trading. You do this because there are not really any good indicators of a bad company. There are lots of them out there and they all have their own special little way of getting your money. Find ways to practice without actually investing any money or committing yourself. When you do invest then invest a very little and leave it. Over time you may see the price go up and down and you may make the decision to sell if you like. There are ways of ensuring you do not lose too much, but think hard before you use them. It is possible for currencies to take a long term dip only to recover later when a major electronics company starts in them. Panic selling is also going to help you lose all your money. People do it on the stock market too. They see their trades starting to slip so they sell only to see that they jumped up again the week after. Author bio: Sonia J. is an author of this post. She’s also in a team of https://writing-service-assistant.com/ that helps students to find the most reliable and professional writing service. Thanks for sharing wisdom Nirmal, I think you have compiled information is the easiest manner. Forex is the finest market for investors probably because of the quality result they get through this trading. What are your views about mobile trading? Personally I don’t prefer it but before drawing any opinions, would like to have a thorough research. Can you suggest any post? Nice Blog. Thanks for this Post. I really appreciate with this. 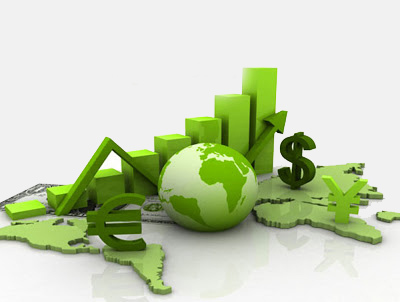 If you are new in the field of forex trading, then you must go through this webpage. It will help you acquire knowledge of topics related to forex trading and offer ingenious ideas. and whos the batter broker for start trading. Very well articulated blog and content, nice work Mr.Nirmal, god bless……..